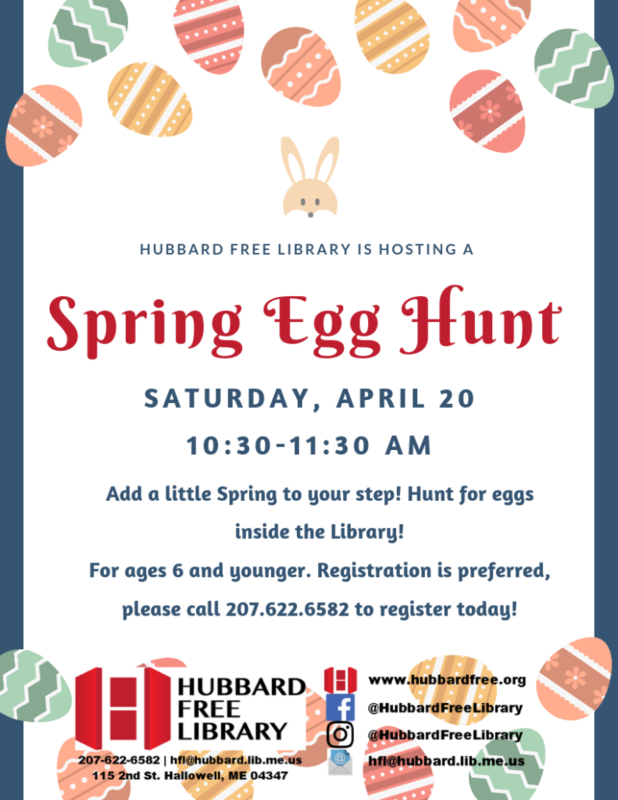 Join us on Saturday, April 20, for an exciting Spring Egg Hunt within Hubbard Free Library! Read moreWhat Is ‘Cloud Library’? A big thank you goes out to everyone that came out to either one of our Community Forums. We heard all that you had to say, and look forward to collaborating with you, community organizations, and the city government to continue growing Hubbard Free Library. The final compilation of notes is now available. It lists ideas and feedback from both Community Forum events, as well as an introduction and general information regarding the Hubbard Free Library and Hallowell. 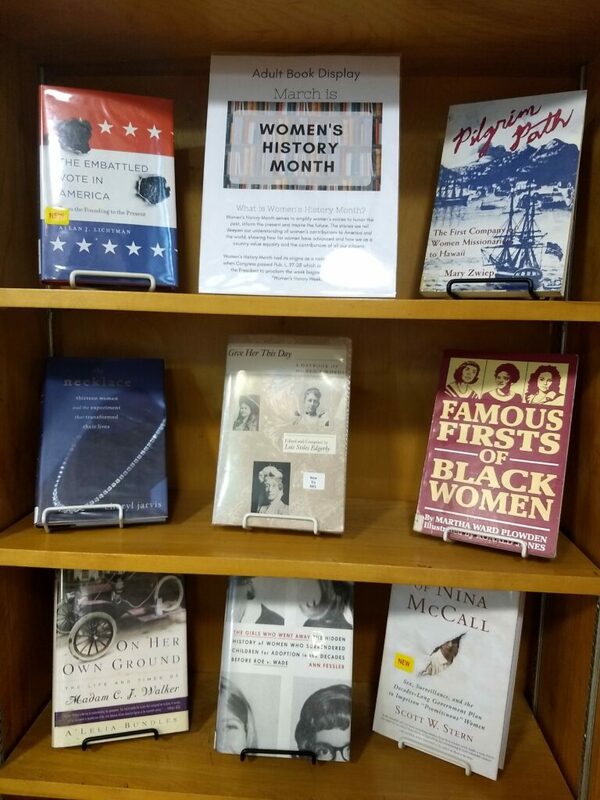 Come visit Hubbard Free Library and check our displays featuring stories written by and about women. Some of the books below are in our display. The Innovation Brass Concert is happening on March 31, 2019, at the Hubbard Free Library. The concert will start at 2:00 PM and will feature music from a broad array of styles including classical brass, folk, Broadway, and more. Adults $10 // Students $8 // Children 12 and under get in for free. Thank you to everyone that came out to our Community Forum on January 24, 2019. The Hubbard Free Library appreciates the time you took out of your day to give us feedback and comments on our current services and regarding future updates. You can read the complete forum notes here. Using your feedback and comments, the Board of Trustees of the Hubbard Free Library wrote a survey as a follow-up to the community forum. We would appreciate it if you took the time to respond to the survey. Every generation is called upon to rise above its own self-interests and persist for those who are yet to come. This has been done for us in immeasurable ways on “our own little postage stamp of native soil” as Faulkner wrote; but few examples shine brighter than the selfless efforts made for Hallowell’s own little library. From its original generous benefactor, to its expansion a few short years later, to its rebuilding after a disastrous train derailment, to its upkeep during the depression years, the people of Hallowell have continually risen to the challenge and supported our library. However, in a time when a library’s role in our society is more important than ever, Maine’s oldest library (in its original building) is significantly reducing its hours and operations for the foreseeable future. Over the last 137 years, the Hubbard Free Library has nurtured the minds of citizens of Hallowell and the surrounding towns, and has been a community center and community builder connecting people to ideas, people to other people, and people to the wider community. The Hubbard is facing a serious, ongoing budget problem. We are a private nonprofit and over the last few years, Hubbard suffered a major hit from the economic downturn which reduced its endowment and income. Donations have dropped significantly, and Chelsea and Farmingdale entirely cut our funding. We have not been able to recover. We are reducing important services and staff. Our work to reduce costs to match declining revenues is having an adverse effect on day to day operations, and it’s still not enough. There is a belief in our community that the Hubbard has a great deal of money because of our Capital Campaign (Help the Hubbard!) a few years ago. The campaign was a great success. However, the $450,000 was raised to save our ailing building (the oldest public library building in Maine) for the next century – not to maintain the daily functions and programs of the Hubbard. The slate roof has been repaired and no longer leaks, the outer walls have been fixed and cleaned, and important interior repairs have been made. We are now repairing our leaky windows and making them more energy efficient, which will also cut heating costs during the cold winter. The Hubbard has never looked better! A beautiful, sturdy building, however, is only one part of the Hubbard – and only matters when what happens inside continues to grow and flourish. Hubbard provides free access to many wonderful books, and outreach services to residents who have difficulty visiting the Hubbard on their own. It also provides a wonderful community meeting place, free internet access, children’s programs, and public events. One patron told us of how her daughter recently learned to walk in the children’s room. For many in our community, it is a calm refuge. For visitors, it is a beautiful gem nestled on Second Street near Hallowell’s bustling downtown. Our community needs its library now more than ever. Our community needs a place for discourse, for public conversations, and in a time of great divide, a place to come together. 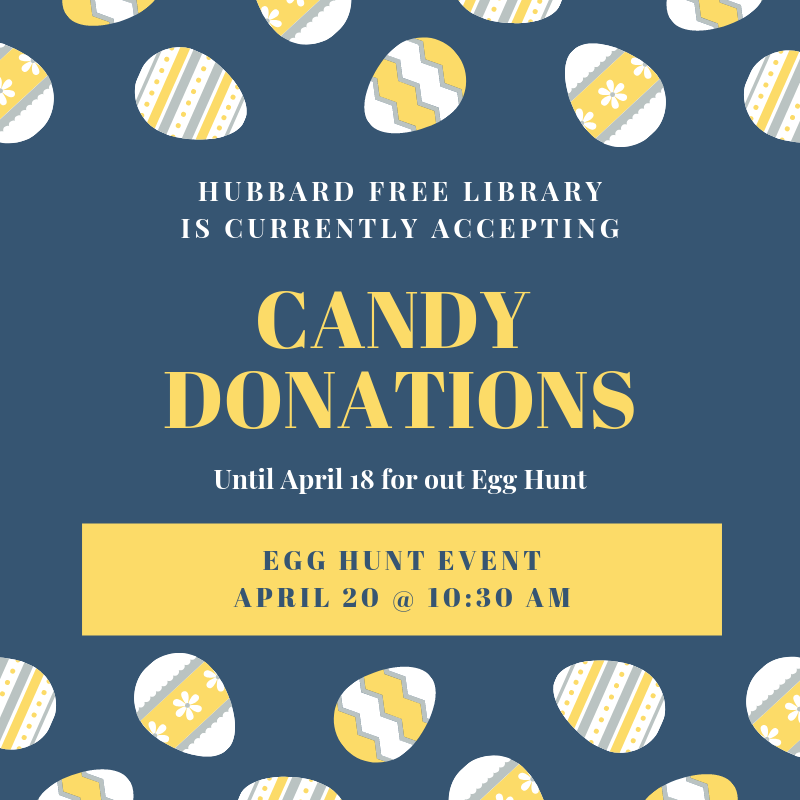 The Hubbard Free Library was established and has been sustained over the years through the generosity of thousands of Hallowell citizens who understood that a democracy thrives only when citizens have access to knowledge about their city, their state, their country, and the world. We need to save the Hubbard, and to do what we can to make sure it’s sustainable for generations to come. We need to invest in our institutions, because our communities are only as strong as the libraries that bring them together.